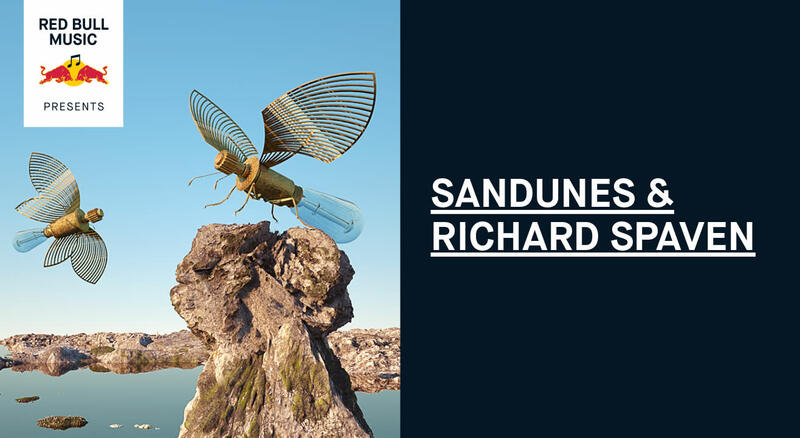 Red Bull Music Presents Sandunes & Richard Spaven, a trans-continental collaboration with two unique artists who will be re-interpreting each other’s work to arrive at a new sound-world and live-performance that is a combination of structure and improvisation. The live shows aim to reach a supporting, inspirational space that encourages both artists to push some personal and musical boundaries. Expect a showcase that is a genuine coming together of the artists’ differing backgrounds: Sandunes’s sonic identity has evolved alongside her journey from pianos to production. Her performances over the last 5 years, reveal an appetite for integrating studio and stage. She works with a combination of hardware synthesizers, software, and found sound. While Richard Spaven has gained international recognition for supplying the drums for the likes of José James, Flying Lotus, The Cinematic Orchestra and Jameszoo, making him a genre-defying drummer. In Spaven‘s own compositions, the drums bridge the gap between the worlds of jazz and electronic music. Sanaya Ardeshir is an electronic producer from Mumbai, India. Like her naturally occurring namesake, Sandunes, plays with broad landscapes of sound. Her sonic identity has evolved alongside her journey from pianos to production. Her performances over the last 5 years, reveal an appetite for integrating studio and stage. She works with a combination of hardware synthesizers, software, and found sound. Sandunes has been gaining momentum internationally, thanks to her tactile and multilayered live performances. The sound of Sandunes works in a sculptural way — she builds synth harmonies into subtle, looping crescendos, her arrangements drawing from downtempo hip-hop, electronica and house. Richard Spaven has gained international recognition for supplying the drums for the likes of José James, Flying Lotus, The Cinematic Orchestra and Jameszoo, making him a genre-defying drummer. Working closely with such a diverse range of artists must bare influence upon Spaven‘s own compositions, in which the drums bridge the gap between the worlds of jazz and electronic music. His own compositions take us on a personal musical journey, where a jazz drummer affirms his love for genres that range from Drum ’n’ Bass to Broken Beat to Dubstep and more.